Everything related to your apartment and neighborhood, all in one app! 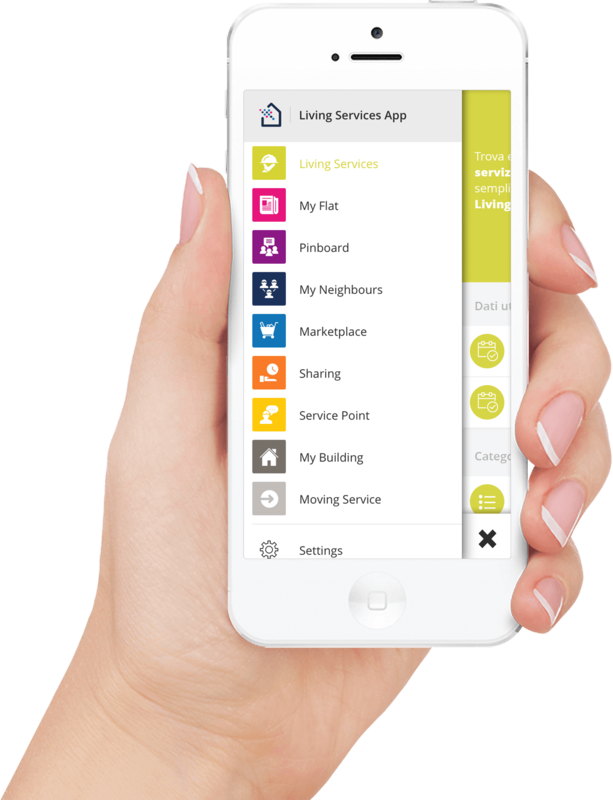 The new LIVING SERVICES app boasts all the features of the Allthings app. Everything from cleaning to vacation services: you’ll find the full range of Living Services offers in the app, which also covers the entire billing and payment process. 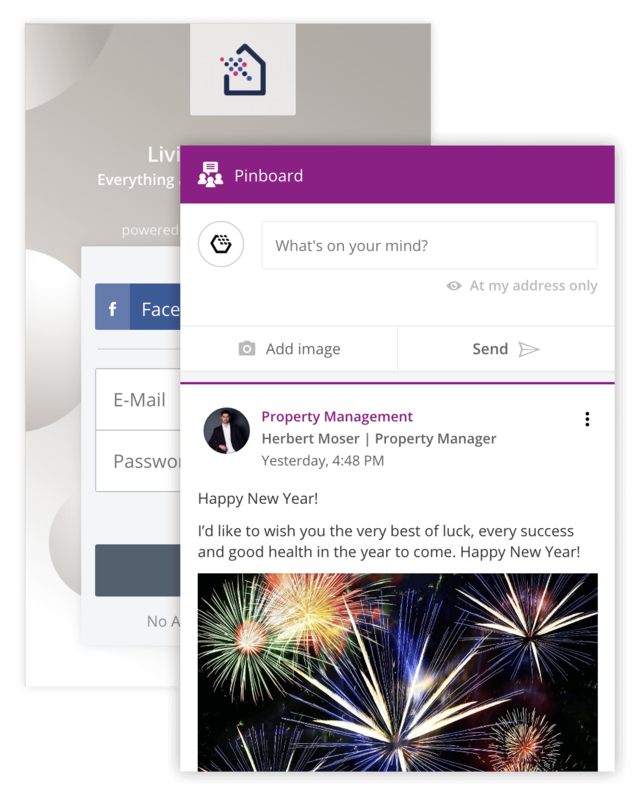 You will be able to use the app to notify your property management about any problems you’re having - around the clock. Plus, this is where you’ll find all of the important information about your apartment – in one central location and everything at a glance. Look for your missing cat, find a babysitter, sell things – the app’s Pinboard, Marketplace and Sharingplace put you in touch with your neighbors. Starting on January 1, 2018, you can use the new app to book the following services. Check underneath for information about the partners providing the new Living Services. Did your mother-in- law just pop in for a visit? No problem! We can even clean your apartment on short notice. Of course we also offer regular cleanings or individually scheduled appointments as needed. To ensure that you enjoy coming home. Do you deserve a vacation? Then you should be able to enjoy it too! The new vacation service will let you start relaxing on your way to the airport. We’ll take care of everything, even anything you might have forgotten. Still out and about but you actually need to be someplace else? We’ll handle it. Send us a message through the app and we’ll be there. Small services or special tasks. Now or later. Do you work long hours and don’t have any time left for your laundry? Then leave it up to us. We’ll pick it up and bring it back - washed and ironed. All you have to do is put it away in your wardrobe. Do you have a move coming up and are multiple moving companies now knocking on your door? You can count on us to provide quality-tested services at a fair price. We also clean your old apartment so you can focus on getting settled into the new one. Honegger is a family-owned company from Switzerland with a rich history. Absolute professionals in their field and always on the lookout for the best value for money. On the Living Services platform, Honegger is responsible for apartment cleaning plus vacation, laundry and troubleshooting services. Take the stress and hassle out of moving. As a new provider and an expert in its field, MOVU is a perfect partner for Living Services. Fixed prices and transparency ensure that you get a good deal, while insurance coverage and quality checks prevent any unpleasant surprises from popping up. The Living Services website is operated by Allthings AG.